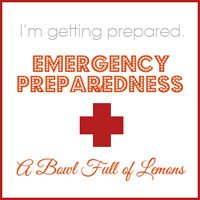 June means Lemonade .. Thrive Lemonade! Have fun in the sun this month with June specials! Our Classic Lemonade is back, so enjoy it with some of our best-selling fruits. Plus, get all our featured fruit and lemonade items in a pantry can pack at an even better price—it’s easy to add to your order or Q with one click. 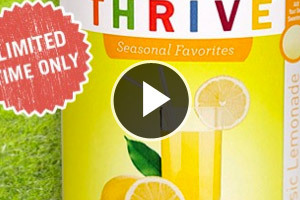 Watch Chef Todd make Lemon Peach Italian Sodas and Very Berry Meringue pie with the specials items in our June Thrive It Up broadcast, and order today to get your summer going with great prices on THRIVE! Pantry cans only. Available through 6/30/14.